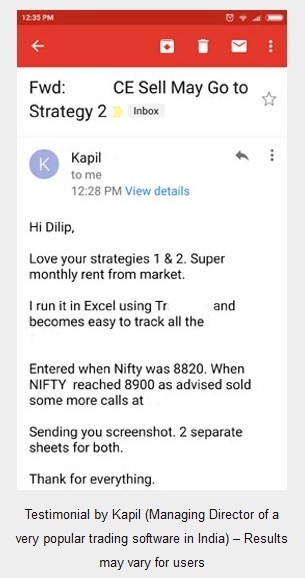 I have written this before that Nifty and India VIX are inversely proportional. Today I want to just write again because it has again proved that they both are inversely proportional. 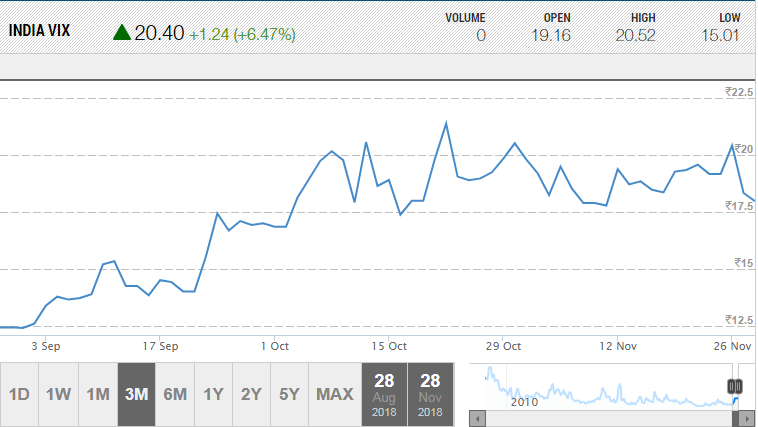 Can you see from Sep to Nov 18 India VIX kept on rising and Nifty in the same period kept on falling? If you read my emails thank you. 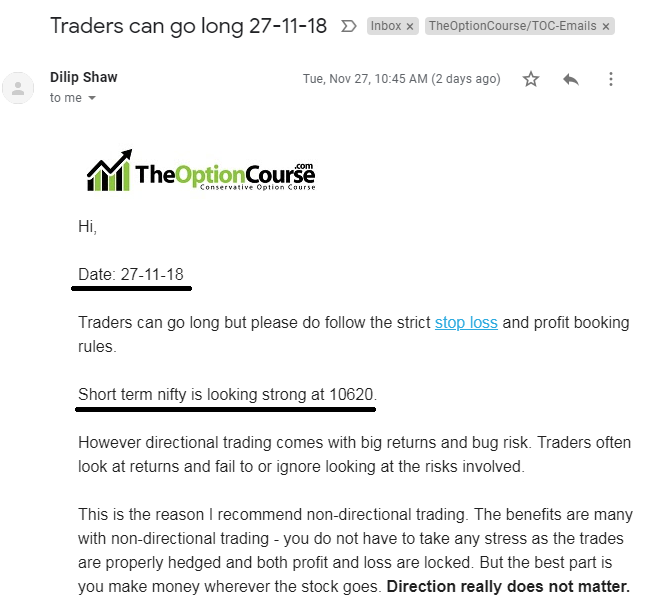 Hope you remember what I said on 27-Nov-18 that Nifty at 10600 is looking very strong and at the time of writing this email on 29-Nov-18 Nifty is at 10824.25. This is good – but what next? 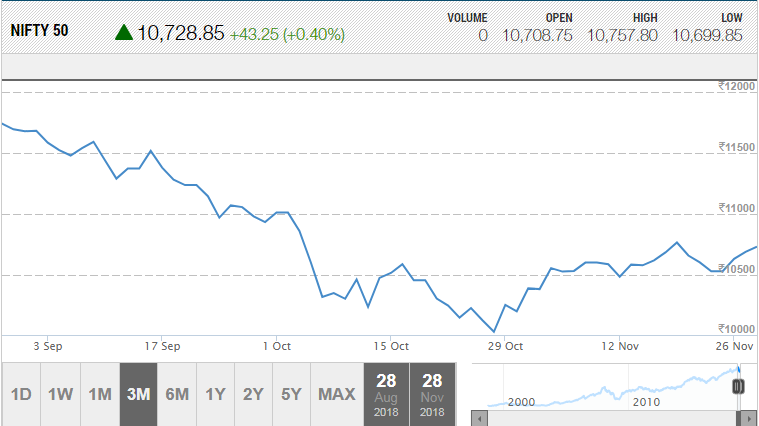 Now Nifty has reached a point where it gets difficult to guess where it will go. 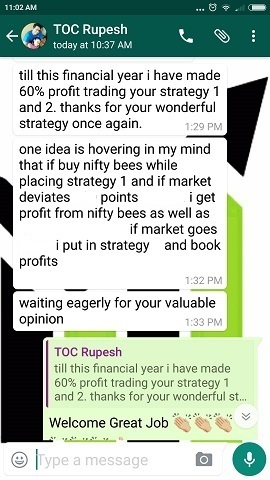 So the best way out is hedge your directional trades too. 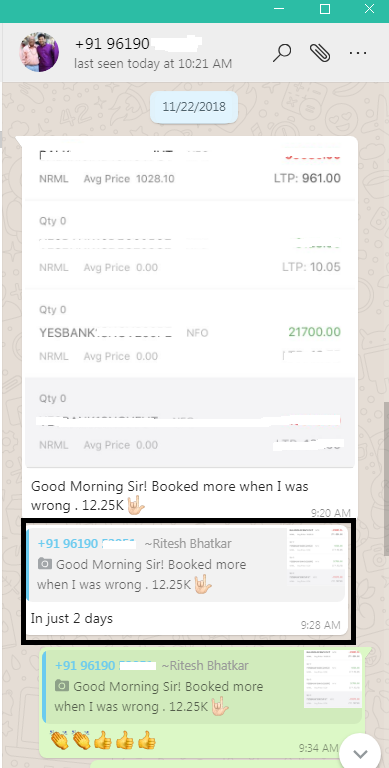 Rs.12,500.00 profit is a single trade on just 2 days on 1 Lakh margin block. 12.5% ROI. 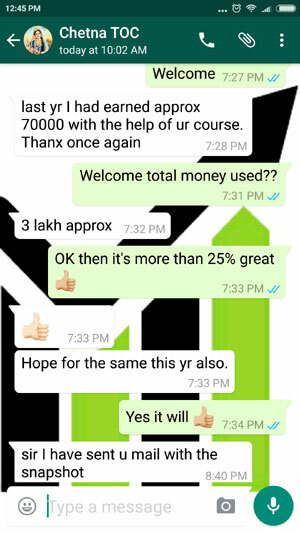 Hedging is a beauty – it saves you when you are wrong and it keeps you strong when right. 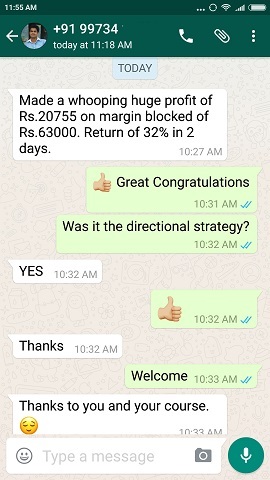 And of course if you want stay away from trading direction you will also learn the non-directional strategies in my course. 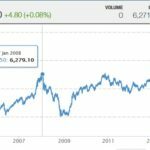 Naked trading is dangerous, it can ruin your wealth. You cannot win every-time – when you lose it takes away whatever you made in last few trades. For overnight protection hedging is very important. 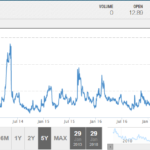 Good news is India VIX is falling down after being near 19 in last two months. You can see India VIX here. Please note that India VIX will change when you see. When I was writing this post it was near 17 falling from 19 a few days back. 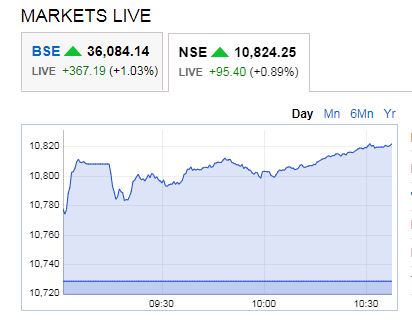 This means that Nifty will become more stable now if India VIX does not increase. Do you see India VIX and trade or you just trade on hope? Do write in the comments section below.